Rosevelie Marquez Morales, Rhonda Hunter, and Tommy Wells talk about implicit bias, how it affects the legal industry, and how to overcome it on a daily basis. Most don’t like to admit it but everybody has bias, even if it’s bias towards your favorite football team. But how does bias, especially implicit, affect the legal industry? 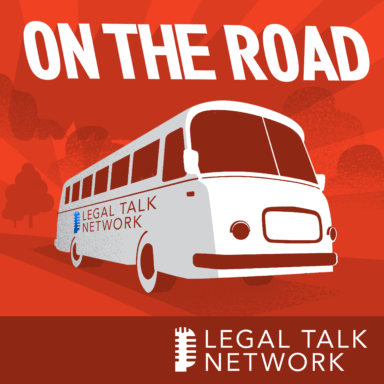 In this report from On The Road at the 2018 ABA Midyear Meeting, hosts Jim Calloway and Joe Patrice talk to Rosevelie Marquez Morales, Rhonda Hunter, and Tommy Wells about implicit bias, how it affects the legal industry, and how to overcome it on a daily basis. They also discuss specifically how judges and attorneys can acknowledge and fight their implicit biases. Rosevelie Marquez Morales is the east coast diversity director of Sidley Austin LLP. Rhonda Hunter is chief of the juvenile division of the Dallas County District Attorney’s Office. Tommy Wells is a partner and founding member at Maynard, Cooper & Gale, PC, in Birmingham, Alabama.